The Google Teacher Academy is a free professional development opportunity designed to help primary and secondary educators from around the globe get the most from innovative technologies. Each Academy is an intensive, two-day event during which participants get hands-on experience with Google’s free products and other technologies, learn about innovative instructional strategies, receive resources to share with colleagues, and immerse themselves in a supportive community of educators making impact. The Google Teacher Academy is designed to create a strong professional community of educators who support each other over the course of a year, while enhancing your online profile and developing materials to enhance classroom learning for students and teachers. In addition to this being an incredible experience (and one that’s close by! ), the Academy will lead you to become a Google Certified Teacher, with added experience in technological collaboration and communication. 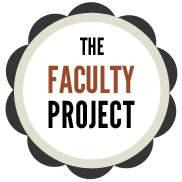 The Faculty Project brings academia’s most outstanding professors to the computers, tablets and smartphones of people all over the world. All courses will be free with open enrollment for anyone with an Internet connection. The Faculty Project was launched in early 2012 and the courses will be taught through online video, PowerPoint, PDF, and articles on Udemy.com. Each course will have a discussion board where learners can interact with each other and the instructor. The content will be available for free, forever, to anyone who wishes to consume it. The Faculty Project has sought to bring some of the world’s best professors from the world’s leading universities online – available free for students, making effective use of their computers, tablet and smartphone devices. The Professors range from diverse fields of teaching – history, economics, anthropology, and more. They also range from some of the world’s finest universities such as the University of Miami, University of Southern California, Dartmouth College and more. Making use of this helpful service is easy. Just visit the website and look below for courses that are currently available. Choose one, and click on the button that says “Enroll”. You can then make an account or sign up with your Facebook account to access the course. The courses are conducted through video lectures, slides and PDFs. Service is free to use and helpful. Some of the world’s most finest professors dispensing their knowledge. Variety of courses available to study. Similar tools: Computer Science 101, FreeVideoLectures and Lectr. Now with a few clicks of your mouse, you can explore thousands of great paintings, sculpture, street art and photographs from 151 museums in 40 countries in the expanded Google +Art Project—www.googleartproject.com. When we first introduced the Art Project a year ago, it counted 17 museums in nine countries and 1,000 images—almost all paintings from Western masters. Today, the Art Project includes more than 30,000 high-resolution artworks from all sizes of institutions, and Street View images for 46 museums, with more on the way. Along with the expanded “collection,” we’ve made some other improvements to the site to make it easier for you to explore and share your favorite works of art. Read more in Google’s blog post: http://goo.gl/3zqX4 or just get started: www.googleartproject.com.